Mildred Valley Thornton was a professional artist who died in 1967. Thornton was a Fellow of the Royal Society of Arts and the art critic for the Vancouver Sun for 16 years. A biography of her was published in 2011 by Sheryl Salloum. 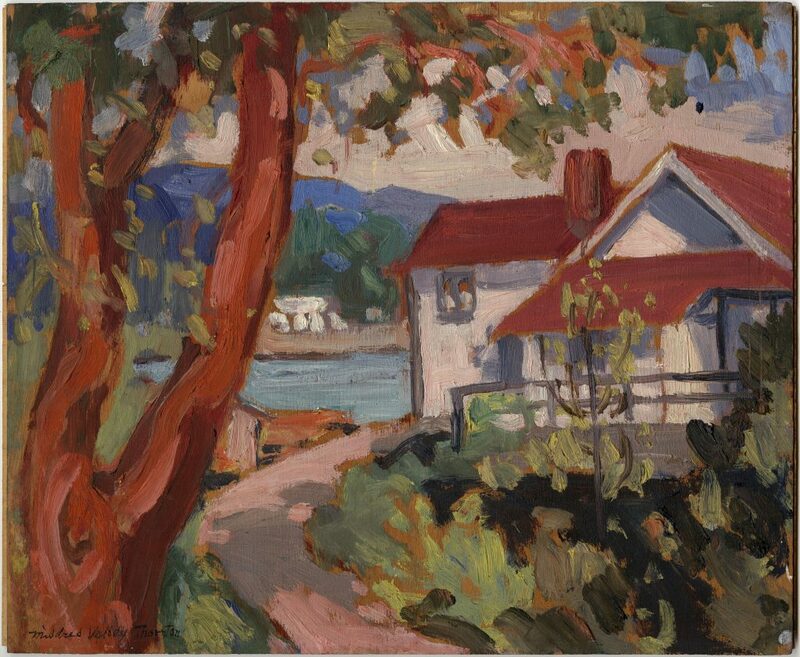 She painted The Pilotage in 1940, approximately, and it shows a pilot house in Skunk Cove, West Vancouver. If you view the image below in high resolution, you can see the impasto texture of the paint. 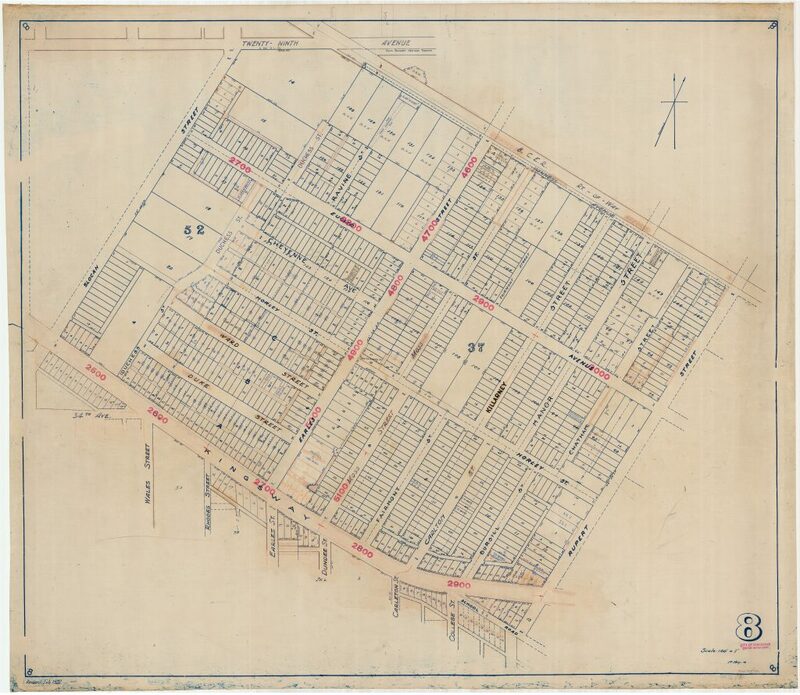 This is one section of a multi-sheet sectional plan of the City of Vancouver. It was created by the City in 1912 and revised in 1942. Here’s a 1960 photograph of a house at 3399 Kingway. According to Major Matthews, it was originally a roadhouse named “The Pig and Whistle”. 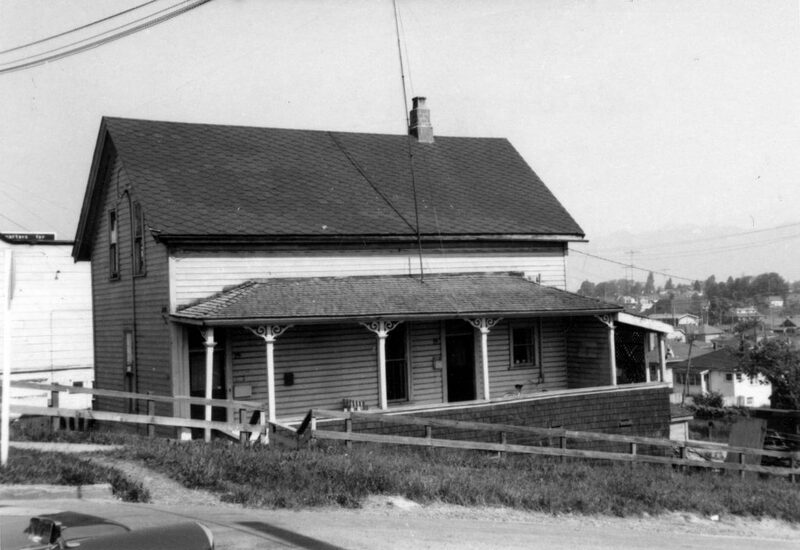 Matthews says that it was one of several roadhouses along Westminster Road (later Kingsway). By 1960, it had been turned into a private house. A Place to Be is a short documentary from 1967 about Grouse Mountain. It shows the gondola, skiers on the slopes, the restaurant, and people singing along to German songs. Reference code AM1466-: MI-22. This entry was posted in Holdings and tagged copyright, photographs. Bookmark the permalink.